According to documents obtained by the Wall Street Journal, a senior staffer for Governor Chris Christie (R-NJ) sent an email to a Port Authority official that seems to direct the official to jack up traffic in an area run by a Christie political opponent. In September, two of three local access lanes from Fort Lee were closed on the George Washington Bridge, stymying commuters from the city. 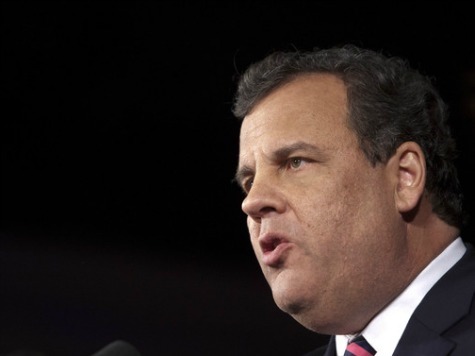 The mayor of Fort Lee had refused to endorse Christie’s re-election effort. For two months, the Port Authority was silent on why the lanes were closed. Two agency officials supported by Christie, David Wildstein and Bill Baroni, resigned during a probe of the issue, after testifying that the lanes were closed for a traffic study. Port Authority Executive Director Patrick Foye, appointed by Governor Andrew Cuomo (D-NY), testified that he didn’t know of any traffic study. Another text message exchange after the lanes were closed shows Wildstein telling an undisclosed person that it was not wrong to smile over the traffic closures. The undisclosed person also wrote, “I feel badly about the kids, I guess.” Wildstein wrote, “They are the children of Buono voters,” referring to Christie opponent and Democratic gubernatorial candidate Barbara Buono. Christie’s office remains silent, but Christie has said that no one in his administration was involved in the lane closures.